عندما تزور ألبانى, ستشعر أنك في بيتك في My Place Colonial Accommodation الذي يقدم لك إقامة متميزة و خدمات عظيمة. يحظى هذا الفندق ذو 3.5 نجمات بمكان ممتاز يسمح بالوصول إلى المعالم السياحية الأكبر في المدينة، فهو يبعد مسافة 0. Km عن صخب المدينة. يشكل هذا الفندق ملاذاَ مريحاً للاسترخاء ويمنح زواره فرصة للاستجمام والتجدد، وهو يقع على بعد خطوات من المعالم السياحية الكثيرة للمدينة كمثل: ‪Albany Town Hall‬, ‪The Church of Saint John the Evangelist‬, ماونتن ديزاين. يقدم My Place Colonial Accommodation خدمات لا غبار عليها وكل أشكال اللياقة وحسن الضيافة اللازمة لإسعاد ضيوفه. يمكن الاستمتاع بمجموعة من الخدمات على أعلى المستويات في الفندق كمثل واي فاي في المناطق العامة, صف السيارات. لقد جهزت هذه الإقامة الفندقية بعناية فائقة لتوفر مستوى عالي من الراحة. في بعض الغرف يجد النزيل تلفزيون بشاشة مسطحة, اتصال لاسلكي بشبكة الإنترنت (مجاني), غرف لغير المدخنين, مكيف هواء, تدفئة. سواء كنت من محبي الرياضة أو كنت تتطلع لتفريغ عناء نهار صعب، ستجد خدمات ذات مستوى عالي بانتظارك كمثل حديقة. يحظى فندق My Place Colonial Accommodation بموقع ممتاز وخدمات يصعب منافستها. We stayed in the 3 bedroom house for our weekend break. It was clean, comfortable and had delightful old style features. 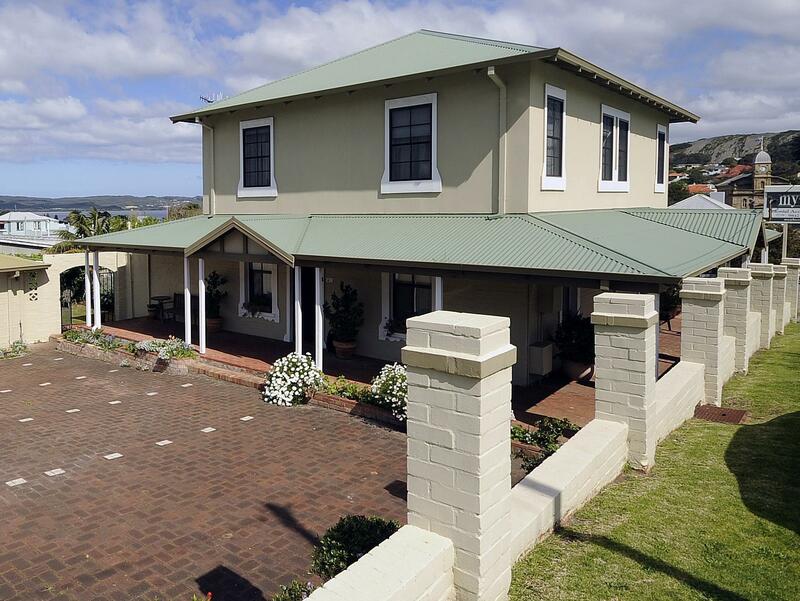 A grand old home from the past within walking distance from the town centre. Fantastic location. Well appointed apartment and spotlessly clean. Would stay again and would recommend to friends. No complaints! Warm, comfortable, well equipped, great location, felt fresh and clean...everything perfect :) a home away from home! Wonderful , fantastic accomodation. The fireplace was excellent. Huge seating n sleeping area. 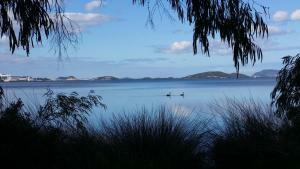 Walking distance near to town. Wish the lock is more sturdy with a latch. Otherwise cannot fault the place. As above, good value for money. It is more like a studio apartment than a hotel room. Our room has a kitchen, a sitting area, and a dining area. The apartment size is big, with a lot of space to move around. The whole room is beautifully decorated. The hotel is located 2 minute drive from the city centre but it is not noisy at all. Carpark is available but it seems limited. In the hotel there is also a washing machine and dryer facility but the dryer did not work at that time. Do note that there was no room cleaning during our 2 day stay there. We had a very pleasant stay at My Place Colonial. We were warmly greeted by Donna and her dog Fleur. The double room we booked had a double and single bed which was exactly what we were looking for as i brought my mom to Perth for the first time. The room was comfortable and clean upon arrival and it was well equipped with microwave, cooking stove and cooking utensils. The gas operated fire place was interesting and much more convenient to use than the traditional/manual one. The only gripe i would have regarding myPlace is the lack of parking space and the one we parked at had a high kerb, hence our saloon car had to be maneuvered a certain way to avoid spoiling the suspension. But i suppose it can't be helped as it is near/within the residential area and it wasn't that a huge bother to be honest. What we definitely loved most about MyPlace was its location to Albany Town. Not more than 2-3 minutes walk, most cafes/restaurants and other shops were walking distance. I'd definitely recommend this quaint little homestay to friends and families planning to travel to Albany. We were greeted by a very friendly lady who was genuinely kind and wanted the best to make our stay comfortable. The room was clean and spacious with an equipped kitchen and large bathroom. The bed was firm and comfortable and there were many channels available on the television. The aircon was good during hot days and the heater was warm enough during those stormy nights. To our surprise, they provide free Wifi in the rooms which was definitely a bonus! This studio is located on grey street. 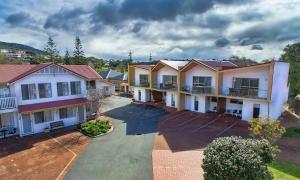 Walking distance to the Albany town centre and food places. Also, I accidentally caused a glassware in the kitchen of our studio to split down the centre because I did not know it was meant only for the microwave. However, when I anxiously reported the matter, the manager was so sweet and reassuring and her first concern was if we were injured and that our dinner was ruined. We offered to buy a new one but she generously declined. Lovely service and place. DO consider when you are down in ALbany. I will definitely return. really enjoyed my stay there. 2 storey house, so very spacious. free wifi available. near york street the heart of albany. great sea view from living room and balcony.